Puerto Aventuras real estate is famous for featuring Ocean-front homes with access to the Marina, and gated golf community condos and homes. In Puerto Aventuras, only 15 minutes south of Playa del Carmen, you will find an amazing lifestyle. Smart buyers who purchase Puerto Aventuras real estate will notice that it is quieter, more laid back and more serene. There is a small commercial area with shops and restaurants surrounding the marina, a private beach, a dolphinarium, and a golf course among other amenities that make Puerto Aventuras real estate an extremely popular option for foreigners buying property in the Mexican Caribbean. 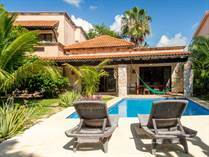 Puerto Aventuras real estate varies widely in price and style. The wide selection of Puerto Aventuras real estate allows flexibility of price and payment options. On this page you will find a selection of our favorite properties for sale in Puerto Aventuras including condos, homes, and land. If you don't see your dream property here, contact us for more options. Homes for sale in Puerto Aventuras come in all sizes, prices, and locations - and all levels of luxury. From Oceanfront homes with private boat dock to smaller yet inviting homes by the golf course, we will introduce you to your ideal home for sale in Puerto Aventuras. Condos for sale in Puerto Aventuras are a favorite among smart investors due to the large variety available in style, location, size, amenities, and many other factors that make Puerto Aventuras condos for sale an opportunity that you shouldn't miss. Golfers love Puerto Aventuras condos due to the wide range of real estate options right on the golf course. "Lush Green Privacy Close to the Beach"
"Reduced - Ready to Sell"
"Right on the Golf Course!" "Right on the Golf Course and Close to the Beach!" 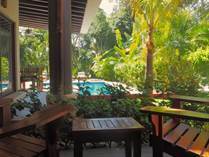 "Beautiful pool & fruit trees in the yard"
"Full Resort Services and Great ROI!" "Super beautiful PH with water view"
"New Price Super Comfortable Condo"
"Spacious interior, gated marina community"
"Like a great bottle of wine, lots of character and has aged well. " "Tranquil view Marina Front Condo." 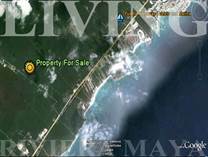 "Condo for Sale in Quiet Area"
"Excellent Value in Puerto Aventuras"
"only 2 kilometers to XpuHa beach"
"Value for huge raw land"